It’s been 3 weeks since I attended my very first ALA Annual Conference. In the past, my library required its conference attendees to post notes on our staff intranet. I expressed to my director my doubts that staff actually read those posts. She agreed and asked me to send her notes on my sessions, with a grade for each one and a quick synopsis. I also included links to the slides and handouts where applicable. I sent this document to the Head of Youth Services, our Communications and Development Coordinator, and the director, who shared it as they saw fit. So…what’s the point of relating these quotidian details? How can we use this information to benefit our library—which really is the question at the crux of why attend ALA? As it turns out, we are taking the knowledge gleaned from Annual and running with it. We discovered our library cooperative has a text service for shared system holds/overdue notices. When my director read about using such a service to send early literacy tips to parents, from my notes from the “Early Literacy Beyond the Library…” session, she immediately made a connection. She’s currently exploring options to tie the co-op’s texting service in with the efforts of our early literacy committee to expand services to community parents, especially low-income parents. Thanks to the ideas presented at the InbeTWEEN: Services and Programs for Tweens in Public Libraries session, we’re looking to add a yoga for tweens program next winter. 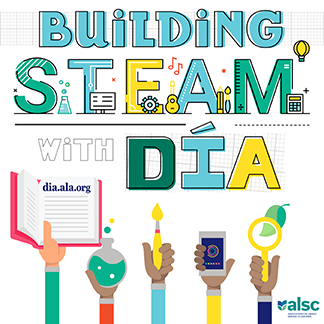 We were already restructuring our STEM offerings to offer programs for early elementary, upper elementary, and teens, replacing previous offerings for ages 5-12 only. Notes from that session helped focus our efforts in this area. My supervisor has also been thinking of ways to carve out some space just for tweens in our area, without doing any remodeling (i.e. spending money). I’ve already planned several Library Labs (STEM programs for upper elementary) for the fall, using the amazing offerings found at the www.steminlibraries.com site. Heather Love Beverly and Heather Thompson deserve an award for compiling these programs. Upon returning from ALAAC, I incorporated the “Dinosaur Roar” parachute song that I learned at Guerilla Storytime into my toddler storytime. Several other random things I jotted down during the other programs, from Tech in the Streets to the ALSC President’s Program, are proving to be very helpful as my library embarks on a new strategic plan process. We have a bookmobile that we aren’t sure is maximizing its full potential, so thinking about adding makerspace and technology on board makes for interesting discussion. I know it seems like my library and its staff must be marvelously agile, implementing these ideas right away. But honestly, it all comes down to timing. The conference report (and my unbridled enthusiasm) just gave these ideas, that had already been percolating in staffs’ heads, agency. We’re still in the thick of summer reading (a thank you shout-out to Bryce Don’t Play–those SRP Hype videos are saving our lives and collective sanity), so we can’t turn on a dime, but we can add these things into our fall program planning. 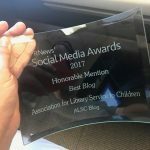 Sometimes I wonder if attending ALA Annual, picking up these online resources and programming tips, ultimately legitimized the program ideas my coworkers and I already had or had seen on blogs, but weren’t sure how to take to the next step. #ALAAC16 sessions also expanded my awareness of what libraries can do with programs already in place. For example, the early literacy committee (about a year old now) was expanding services, creating a brand for our 0-5 events, and streamlining storytimes–but reaching parents through texting never occurred to us. I’m excited for my library and my community to benefit from everything I absorbed and learned. Good things are coming! Our guest blogger today is Kristel Sexton. 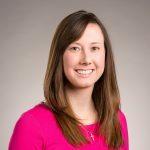 Kristel is a Youth Services librarian at the Ypsilanti District Library, where this past spring she was Project Director for the first hands-on science exhibit YDL has ever hosted, Discover Tech: How Engineers Make a World of Difference. She is also a Penguin Young Readers winner which allowed her to attend the 2016 ALA Annual Conference in Orlando, Florida. Hi! Interested in the “Dinosaur Roar” parachute song. My kids love the parachute and always looking for new and fun things to do with them.